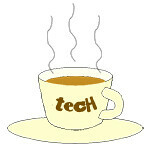 lights « Tech bytes for tea? Selamat Hari Raya Aidilfitri! Muslims and non-Muslim visitors taking a breather from the hustle & bustle of the Ramadan bazaar last night. Little girl having henna drawn on her hand at the Ramadan night bazaar. Thanks to the girl’s mother for so generously granting permission for this photo. Here’s wishing all Muslim friends: “Selamat Hari Raya Aidilfitri“! Custom designed twinkling lights specially for Hari Raya Puasa. Photo taken with a Nikon D600 with AF-S NIKKOR 24-120mm f/4G ED VR lens. Photo credit: John Tan. What’s Hari Raya without those twinkling lights that brighten up the neighbourhood at night? Lights galore at the Ramadan Night Bazaar. Photo taken with a Nikon D600 with AF-S NIKKOR 24-120mm f/4G ED VR lens. Photo credit: John Tan. One of the distinctive signs that Hari Raya is approaching is the lights that you see decorating homes – both inside and outside – as the festival approaches.